This 1,000sf gem built by Shelter Associates was originally intended as a guest house. After completion, however, the homeowners loved the space so much that they decided to make it their primary residence. 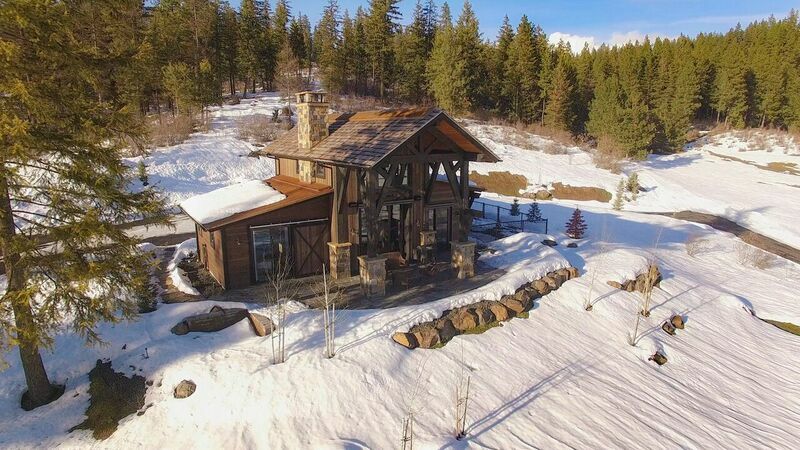 The natural woodwork inside and out give this home warmth and character! We worked closely with the homeowner and the architect in selection and coordination of design elements and finishes used in this project. We provide the same level of custom service in every project, large or small. The large timber structure of the covered patio and rock chimney make a bold statement of this home nestled into the hillside and overlooking the prairie. 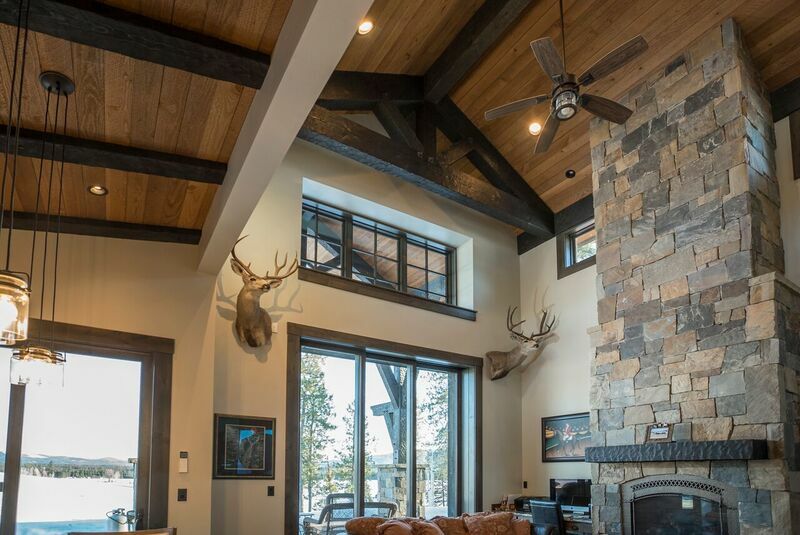 Large timbers and wood planks in the cathedral ceiling bring warmth to this bright area along with the natural stone fireplace from floor to ceiling. 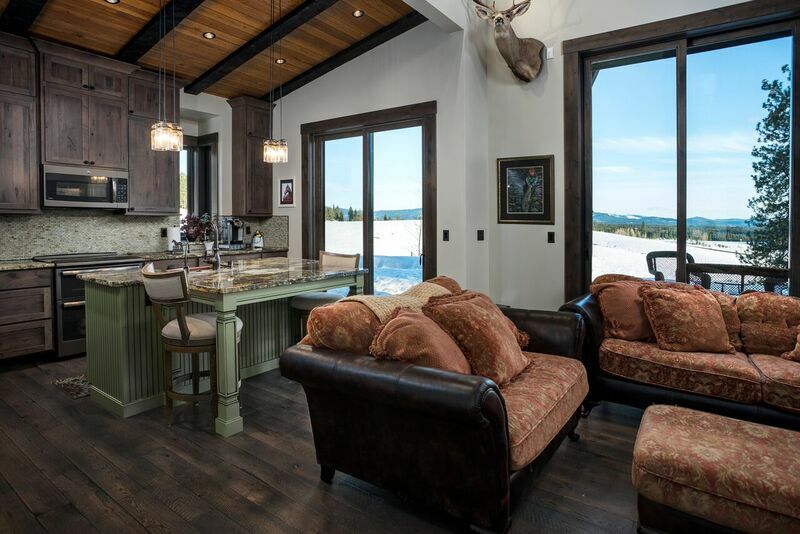 The large window provide views of the high prairies east of Lake Coeur d’Alene and the hills beyond the lake. Perfect view of the sunrise. 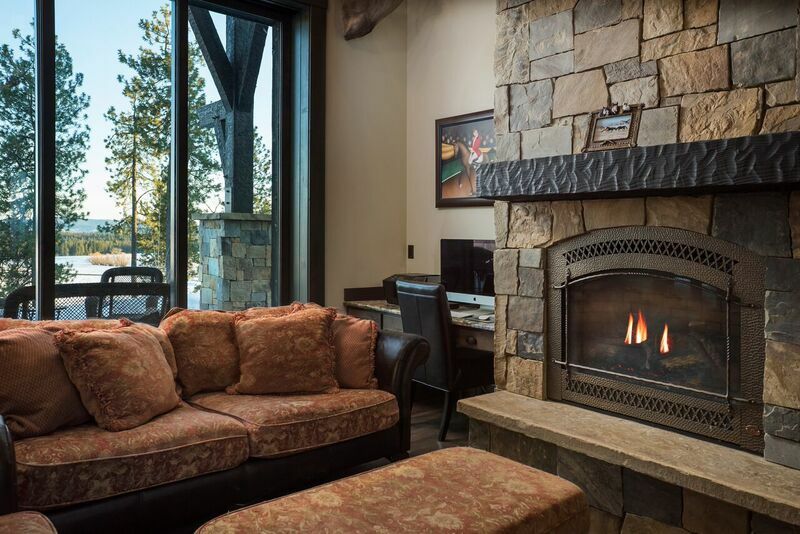 The 9-foot sliding windows next to the built-in work area offer plentiful light while the stone-surrounded fireplace offers warmth and coziness to this living area. 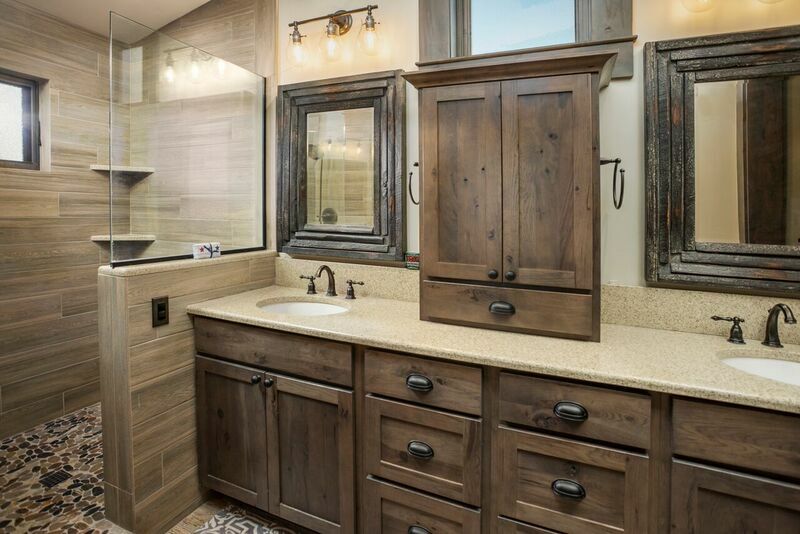 The natural elements, from rock to granite to knotty alder casework and wood flooring make this modern master bath an inviting area. Details include hidden outlets in the center cabinet and a vaulted ceiling with high windows. 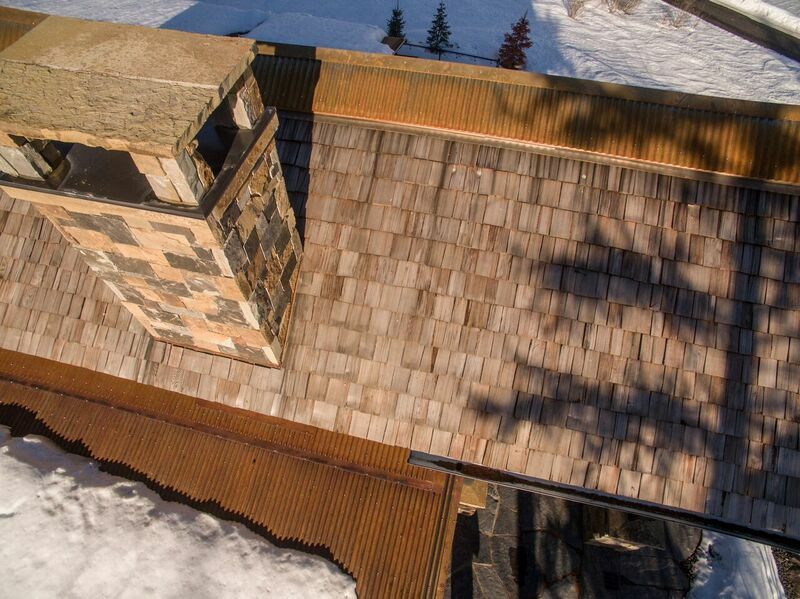 Surrounded by both wood shingles and weathered corrugated metal roofing, the rock fireplace climbs through the roof of the home with the same beautiful detail outside as is found inside. Saw-hewn floors throughout this home create the foundation for its rustic style. 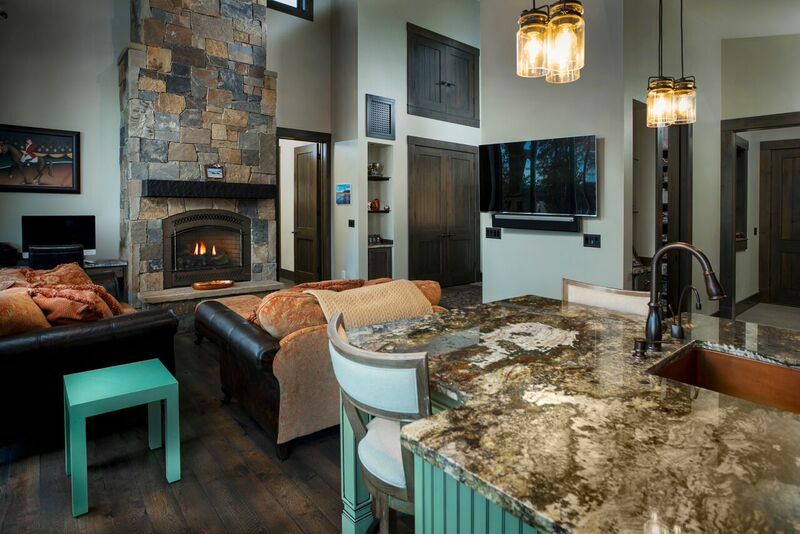 All natural materials such as granite, stone and wood throughout the kitchen offer both luxury and warmth. The cozy great room of this home highlights the friendly traffic flow of the home and the seating for two off the kitchen island. 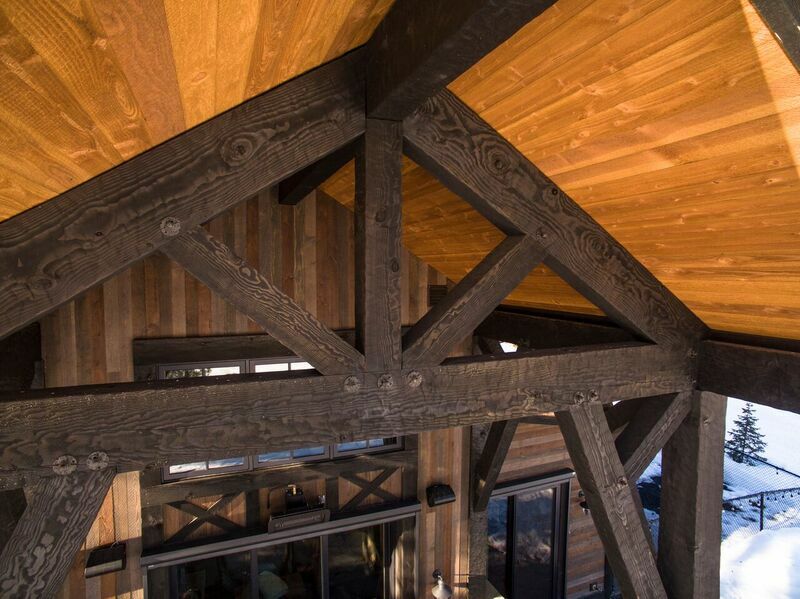 These exposed timber trusses both inside and outside the home create a warm rustic feel along with the weathered wood plank siding. 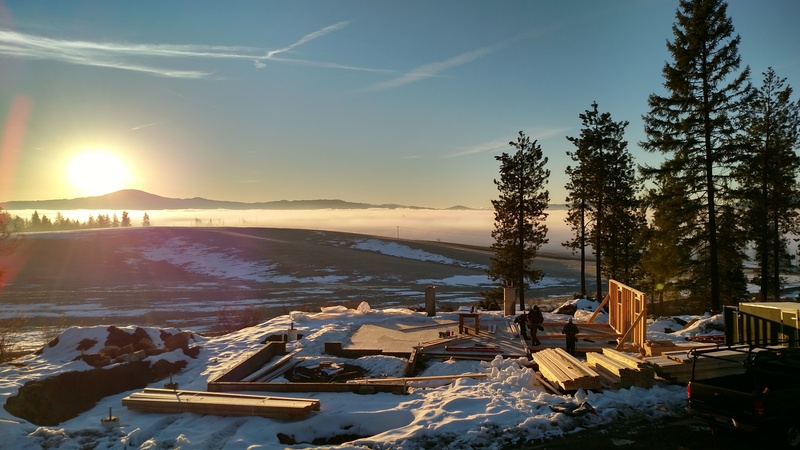 The winter sunrise over a foggy Lake Coeur d’Alene provided a beautiful day for construction of this timbered home in winter of 2016.